Affiliate programs have been used for increasing sales of products and services for several decades now. They are primarily based on offering some reward, regarding commissions, to people who promote and sell products on behalf of the actual owner. It is quite easy to get affiliates to join your program, but it is another thing to keep them motivated. Setting up an affiliate business requires time and discipline and those who sign up usually give up after some time. So how do you go about ensuring that your affiliates, continuously promote and generate sales? One would think that any manufacturer of a product or development of a service would bear this in mind right from the start. However, there are those who churn out products and services just to make a quick dollar. Make sure that your products and services offer tangible, high-quality solutions for your potential customers. A little effort in how you present your product will contribute greatly to motivate your affiliates to make more sales. You should have a landing page that is well-designed, with clear descriptions, images, specs, testimonials and reviews; this fosters trust among your customers and converts to a better commitment from your affiliates. People primarily join affiliate programs because of the commissions being offered. When you launch your first affiliate program, you need to bring in many affiliates within a short period. The only way to do this is to give high commissions, so they can actively begin promoting your business. It is not just franchised that need to train their franchisees on how to run the business. Your affiliate network needs to have the basics of starting an affiliate sales business and making money from it. Let them know some of the basic salesperson skills and the finer points of your products and services through chats, videos, emails, newsletters and more. You should be ready to answer any questions that your affiliates may have since this contributes towards creating a trustworthy relationship. The creation of a frequently asked questions page (FAQ), containing any issues that the affiliates raise will help you in answering their questions. The page should have information on the product, regulations and commissions given. You should make it easy for your affiliates to work with you, and they will reward you by selling your products harder than they do for other vendors. No matter how hard your affiliates work towards driving traffic to your site, you will be doing them, and yourself, a great disservice if you have a poorly designed landing page. You should have one that will convert traffic and increase sales. According to statistics, a high number of landing pages have a conversion rate of only 0.5%, which means that you should have one that converts at 2% and above. If you have a rate higher than 5%, you can put this in the welcome package, and if you have a conversion rate that is greater than 10%, you should put it on your website, and bring in more affiliates in the process. Not all affiliates who join your network are gifted in the art of content writing. You must provide them with reviews, emails, checklists, articles and other content that will bring out the best in your product or service. This will ensure that all their links are in keeping with your website, so it does look like spam. 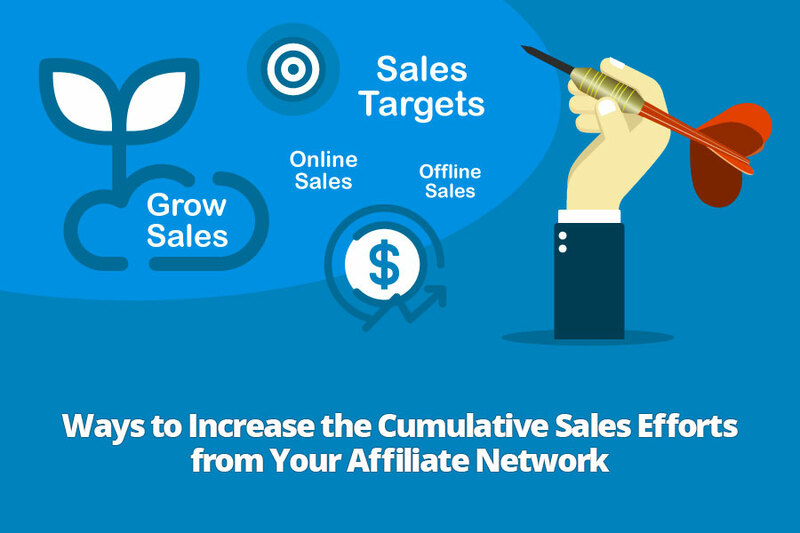 The Pareto principle states that 80% of all sales in an affiliate network come from 20% of your affiliates. This means that you should open up to giving these people an extra reward for their efforts. You should offer these “stars” an opportunity to form a joint partnership with you. This will bring you closer to them on a professional and personal level. You can have webinars where you interview one another and tell your secrets to success in the affiliate marketing business, and then sell these to any lists that you have and split the profits. You can also have joint webinars to launch a new product. Other affiliates will want to be included in such a deal and will work harder to cut. You should go an extra mile and make it clear about who you are in your particular niche, and how the affiliates will benefit from working with you. There is a lot to be gained if you all work together as a team, and build more products to add to your network. If you are in the business of making wedding gowns, then you can partner with wedding planners, formal wear merchants and flower sellers to give joint products at a discount. A buyer can buy a dress, hire a planner, and buy flowers and other clothes from merchants in your network at a discount. You may also offer contests where the big prizes go to the best performers in your affiliate marketing network. This will shake things up, and motivate your affiliates to work harder. You should create a different contest for every month to keep the interest fresh and exciting. Ask any affiliate marketer about the business, and you will hear how difficult it is to start and maintain. It is only a few who dig their feet into the ground and push to become highly successful in this business. The above ideas will motivate your affiliates and help them make higher sales for you as the vendor.